The closer we get to the March 26 event, the official unveiling of the P30 phones, the more leaks we’re going to get. This one comes from a factory in China that produces glass screen protectors. 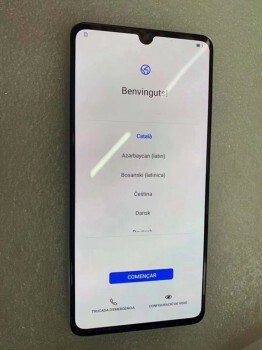 You can see in the video, which showcases the Huawei P30 Pro that the in-display fingerprint reader is being tested. Not that it will have any issues, as far as we know Huawei will use an optical reader, which do just fine with screen protectors. Next up is a photo of the Huawei P30. It has a flat screen while the phone in the video has a curved screen, which is how you can tell them apart. If you want a clearer look, here are some leaked press renders.